Independent arrival at Hotel Principe di Villafranca in Palermo. (in 2010: Hotel Grande Albergo Sole in Palermo) Enjoy a welcome cocktail. Dinner and overnight in your hotel. After a buffet breakfast, depart to Cefal�, a charming coastal town, a former fishing village, which is also home to a breathtaking Norman Cathedral with dazzling mosaics. Take a stroll to the city center and down main street to reach the Cathedral and the medieval wash-house built in the rock. Proceed to Capo d�Orlando along the Tyrrhenian coast and stop for lunch. Continue to Taormina called �the pearl of the Ionic Sea�, founded in 400 BC and beautifully located overlooking the sea and the peak of Mount Etna. Enjoy time at leisure to shop for handmade lace, coral jewels, ceramics, home-made sweets and preserves down �Corso Umberto� or simply walk through the tiny streets. Possibility to visit the fascinating Roman - Greek theatre. Proceed to Catania. Accommodation, dinner and overnight at the Hotel Katane Palace. After a buffet breakfast, weather conditions permitting, excursion to Mount Etna, the highest active volcano in Europe. Across fascinating landscape, we will reach a height of 2000 metres, where we will enjoy a fantastic panorama of the Ionic Sea. Lunch in a farmhouse on the slopes of Etna and wine tasting of local production. Back to Catania, the town known for its original baroque style and for its streets built with black lava stone from mount Etna. Walking tour through Via Etnea, the Baroque street �Via Crociferi�, the Piazza Duomo with the Cathedral and the �Liotru� statue, symbol of the city, the roman Amphitheatre, the Opera House (external visit), the University, and the noble Palace of Biscari (external visit). Dinner and overnight in your Hotel. 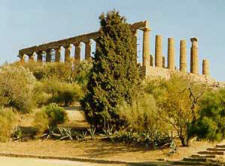 After a buffet breakfast, depart to Syracuse to visit the most beautiful Greek colony of Sicily. Visit of the archaeological area including the famous Latomie of the Paradise, the Greek Theatre, the Roman Amphitheatre and the Dyonisios �Ear�. Visit the island of Ortigia, the small baroque old city centre of Siracusa, built by the Aragonians: here you can admire the Cathedral and the �Fontana Aretusa�. Lunch in a local restaurant. In the afternoon, depart to Noto, one of the most beautiful cities in Sicily renowned for the harmony and unity of its Baroque style and today declared a World Heritage Site by UNESCO. Proceed to Modica, one of the most picturesque cities of Sicily. Panoramic tour of Modica. (Modica only in 2011) Continue to Ragusa, a city that is divided into two parts: the upper part built after the earthquake in 1693 and the lower part that is called Ragusa Ibla, one of the most important testimony of the Baroque architecture. Enjoy a tasting of typical Sicilian products (an aperitif only in 2010) in a nice bar in the main square by the Dome, �Basilica di San Giorgio�. Accommodation, dinner and overnight at Hotel Mediterraneo Palace. After a buffet breakfast, stop in Modica, one of the most picturesque cities in the province and of all Sicily, mainly to the appearance late Baroque, rich of important churches such as San Giorgio and San Pietro. Stop in a chocolate shop to have a taste of the famous Modica�s chocolate still made the same way the ancient Aztecs made chocolate in Mexico. Depart to Piazza Armerina and visit the worldwide known Villa Romana del Casale: it is the richest, largest and most complex collection of late Roman mosaics in the world Lunch in a local restaurant. Continue to Agrigento: visit of the Valley of the Temples including the Temple of Juno, Concord, Heracles, Zeus, Castor & Pollux that represent the most beautiful example of the Greek Civilization in Sicily. Dinner at Hotel Della Valle. After dinner enjoy an unforgettable panoramic tour of the Valley of the Temples illuminated. Overnight in Agrigento. After a buffet breakfast, depart to Caltagirone famous for the production of ceramics and pottery: visit of a ceramics laboratory and opportunity of shopping. Continue to Piazza Armerina and visit the worldwide known Villa Romana del Casale: it is the richest, largest and most complex collection of late Roman mosaics in the world Lunch in a local restaurant. Continue to Agrigento: visit of the Valley of the Temples including the Temple of Juno, Concord, Heracles, Zeus, Castor & Pollux that represent the most beautiful example of the Greek Civilization in Sicily. Dinner at Hotel Della Valle. After dinner enjoy an unforgettable panoramic tour of the Valley of the Temples illuminated. 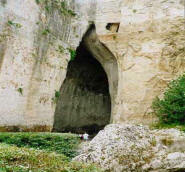 Overnight in Agrigento. production) where before lunch it will be possible to have a wine and oil tasting of local production. Proceed to Segesta to visit the Doric Temple which keeps in its stones the weight of a long history, surrounded by a unique landscape. Proceed to Palermo. Accommodation, dinner and overnight at Hotel Principe di Villafranca Palermo. (in 2010 overnight at Hotel Grande Albergo Sole). After a buffet breakfast. morning visit of the Capital of Sicily, one of the richest towns in the island for history and art: the Cathedral, the �Palatina� Chapel, and panoramic tour of the town (the �Quattro Canti�, the Opera House, the Pretoria Square). We will continue to Monreale to admire the Cathedral with its splendid 12th century mosaics and the cloister of the Benedictines monastery with Moorish architecture. Lunch in your Hotel. Afternoon at leisure or optional excursion to Erice, a medieval town full of myth, history and art which sits on top of Mt. Erice, overlooking the city of Trapani and the Egadi Islands. Panoramic tour of the salt-woks of Trapani. Dinner and overnight in your Hotel.